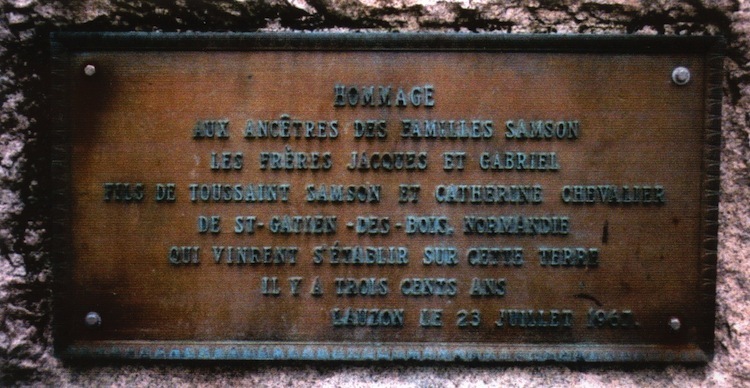 "In honor of our Samson family ancestors, the brothers Jacques and Gabriel, sons of Toussaint Samson and Catherine Chevalier of St. Gatien-des-Bois, Normandy, who settled on this land three hundred years ago." Soon after the reunion, a pamphlet was put together by genealogist, Marcel Samson and priest, Roger Samson (written in French) titled “Familles Samson, Tricentenaire au Canada”. 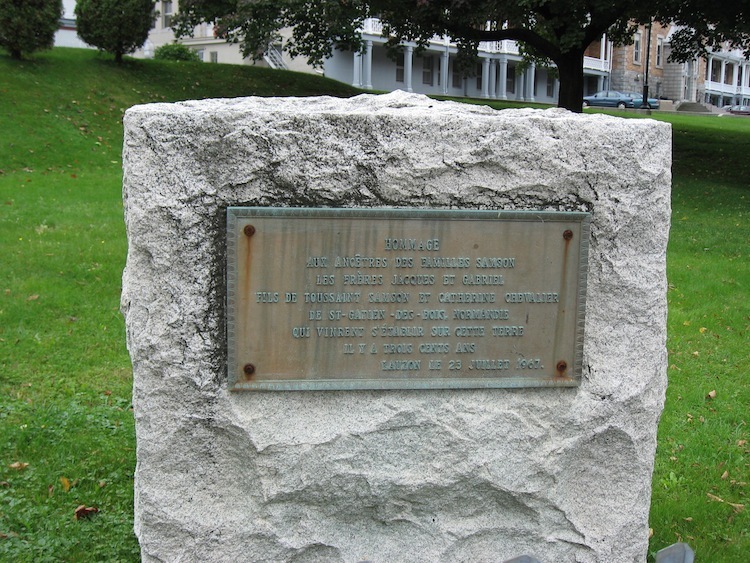 Their main sources were the writings of Father Archange Godbout, a Franciscan priest, and J. Edmond Roy, author of “Histoire de la Seigneurie de Lauzon”. 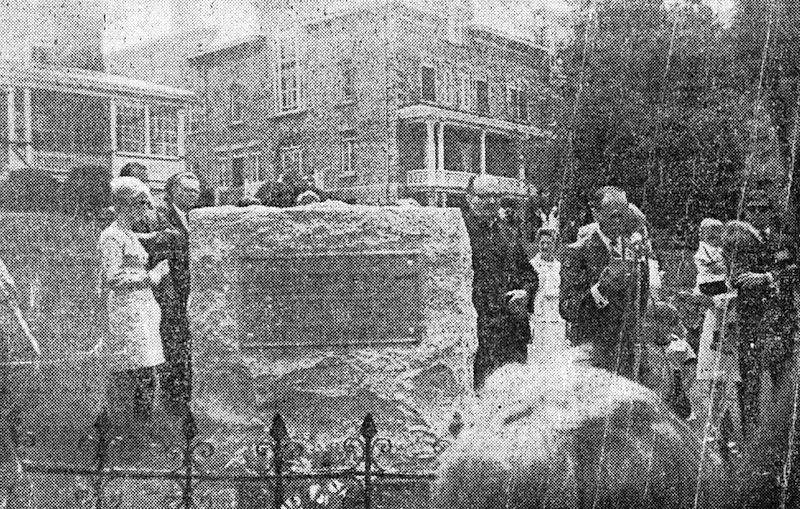 Their pamphlet includes the history of the two brothers, a description of the reunion and letters from the parish priest and mayor of St. Gatien-des-Bois. Most of the material within the pamphlet has been made available on this Samson Homepage. Marcel Samson also prepared genealogical charts of the early Samson descendants in Quebec and Acadia. 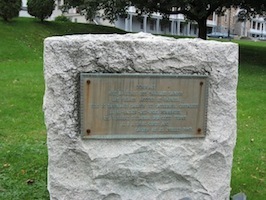 In May 2009, a project was undertaken by Claire Pelchat to translate this document into English. It was edited by Timothy Nolan who maintained all of the original graphics. Please CLICK HERE in order to download the English version. In August 2004, a Samson reunion for the Acadian branch was held in Petit de Grat, Nova Scotia. A 48 page booklet was created for that event by Charles A. Samson titled “Our Samson Ancestors – The History and Genealogy of the Acadian Samson Family.” Most of the information from that booklet has been included in this website.